Emphysema is a lung disease that, over a long period of time, leads to shortness of breath because of excessive inflation of the alveoli, which are air sacs inside the lungs, reports eMedicineHealth. Over time, the disease destroys the lung tissue that exchanges oxygen and carbon dioxide. Healthy tissue resembles a new sponge, with small holes and an elastic property that rebounds to the touch. After the onset of emphysema, the holes have increased in size, and the tissue has lost the majority of that elasticity. When inhalation takes place, the lung tissue stretches and naturally pulls back toward its normal state, but emphysema keeps this from happening. As a result, air remains in the lungs. Emphysema also affects the work of the capillaries in the lungs, so the disease impacts airflow and blood flow into and out of the lungs, eMedicineHealth states. In most cases, emphysema results from smoking. The precise mechanism by which smoking causes emphysema remains unknown as of April 2015, but research shows that smoking increases an person's risk of emphysema by six times. The other primary cause is alpha-1 antitrypsin deficiency, but that causes significantly fewer cases than smoking. Along with chronic bronchitis, emphysema represents the third-leading cause of death in the United States, notes WebMD. What Does Sarcoidosis of the Lung Mean? 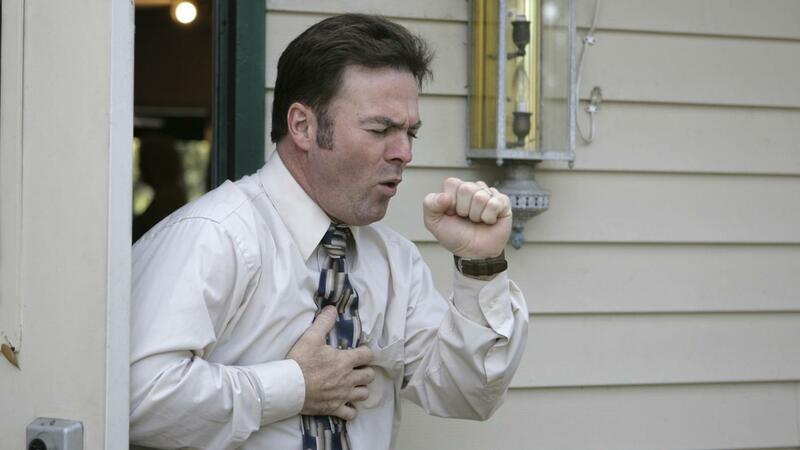 What Are Some Symptoms of Lung Disease?